The popular view of Beethoven as a fiery, firecely independent individual is quite correct. He frequently chose as heroes (or heroines, in the case or Leonore) those highly principled people who were willing to risk death in the defiance of authority. Goethe, who had a similar attitude, provided Beethoven with considerable inspiration. Beethoven idolized Goethe, though when the finally met, Beethoven found him more deferential to aristocracy than befitted a poet. On at least one occasion, he embarrased Goethe by being rude to their social betters in order to demonstrate his "equality." Nonetheless, Goethe's works provided the impetus for many of Beethoven's compositions. European writers and composers were always eager to use the Spanish as the villains of thei operas (Tosca, Leonore, Don Giovanni, Il Trovatore, La Forza del Destino, Carmen). If passion and treachery are required, the Spanish will supply them. No doubt this is the result of two facts: (1) Spain was the most powerful country in the world for a long time, with the English and the French its chief rivals, and (2) Spain was the standard-bearer of Catholicism, and the Protestants missed no opportunity to portray the Catholics in a bad light. In the case of Egmont, the Spanish Duke of Alba is the villain. Beethoven always needed a protagonist he could admire. He said he never could have written Don Giovanni or a Figaro. He found such characters "repugnant" at worst, and "frivolous" at best. Goethe and Beethoven had found a genuine hero in Egmont. Count Egmont (or Egmond) lived during the 16th century in the Netherlands. For some time he served the Spanish monarchs Charles V and Phillip II. He fought with the Spanish against the French; he acted as intermediary for Philip in his suit for the hand of Mary of England, and attended the subsequent wedding. He was a very successful general against the French, and became a popular hero. Since the powerful Spanish Duke of Alba had advised against the battle, Egmont's success did not endear him to the Duke. Eventually, Spanish control of the Netherlands became so oppressive that Egmont began to argue with King Philip, and together with the Prince of Orange and Count Horn became the focal point of resistance to Spanish rule. Although Egmont remained loyal to the King, while opposing his policies, his days were numbered, and he was arrested and beheaded on the order of the Duke of Alba. For Goethe's Egmont, Beethoven wrote an overture, two songs, a melodrama (that is, a part for speaking voice with musical background), several Entr'actes, and a finale. The principal characteristics of the incidental music appear in the overture. The opening is grave, portentious, and appropriate for a tragedy. When the allego begins, we are in familiar territory .. the angry Beethoven. This short piece is charged with drama, expressing succinctly the determined resistance of Egmont, and turning optimistic toward the end as he marches away to his death, implying the survival of his spirit and the continued struggle for independence on the part of his people. Egmont was composed in 1810, and premiered at the Hofburg Theater, Vienna, May 24, 1810. Dvořák was born in the outskirts of Prague. He was the son of an innkeeper-butcher who expected him to continue the family business. However, he showed such early talent that he was sent to the organ school of the Bohemian Church Music Society. Dvořák's early days were spent in poverty. He earned money by playing in cafés and in an insane asylum! He played viola in the former and organ in the latter. When he was twenty-one, his fortunes changed. Bedřich Smetana established the National Theater of Prague, and Dvořák earned a place as a viola player in the orchestra. His early works were many, but extremely derivative. It wasn't until he was in his thirties that he began to put a strong Czech nationalistic stamp on his music, the characteristic for which he was to become best known. His work came to the attention of Brahms during an annual competition, when Brahms awarded him a prize for his Moravian Duets. The older composer sensed in Dvořák a number of qualities in tune with his own, not the least of which was his great interest in folk-sources. After the publishing house of Simrock successfully published Brahms' first set of Hungarian Dances, it pressured him for some more. It was another ten years before the second set was ready for publication, and during this time, Simrock kept after him. In desperation, Brahms suggested that Simrock ask Dvořák to write a set of dances, knowing that the younger composer was capable of producing a set, similar to his own, yet fresh, original, and full of national fervor. In 1878, Dvořák produced the first set of eight Slavonic Dances in record time, and they were so successful that he was asked to write a second set of eight. The opus numbers are 46 and 72, respectively. His Czech Suite carries an opus number of 39, though it was written shortly after his first Slavonic Dance suite. This is a testimony to his popularity, the speed with which he could churn things out, and his deception of his publisher, Simrock, which had a contract for first choice of Dvořák's works. In order to supply a rival publisher with whom he had had a previous arrangement, Dvořák falsified the opus number to make it seem that the work was earlier, and therefore not subject to the conditions of the contract with Simrock. The suite is comprised of five movements of varying tempi, though most of them are lively. The first movement is Preludium-Pastorale, and is marked Allegro moderato, with the middle part slower (quasi andante). It opens with the bassoon and the cellos. The second movement is the popular Polka, marked allegretto grazioso, and features mostly the strings. It is in ternary form with an intervening trio. The third movement is Sousedská-Minuetto. the Sousedská is a Czech folk-fance. Clarinets and bassoons introduce the dance, in keeping with village practice. The fourth movement is a Romance, rather slow, and featuring the flute and English horn. The final movement is a Furiant, another Czech folk-dance. Originally, the furiant alternated 2/4 and 3/4 meter, but once it was introduced into symphonic music during the 19th century, it was almost always in 3/4 time. In Czech music, it sometimes replaced the scherzo ini a symphony (Dvořák's Op. 60 in D Major, for example). The "Big Three" of early 19th century romantic omposers were Chopin, Schumann, and Mendelssohn. They had in common a slightly conservative, almost classical regard for structure. Mendelssohn was a prodigy, who had written an opera and 15 symphonies by the time he was fifteen years old. His Violin Concerto in D Minor, an attractive piece, was written when he was thirteen. At the age of thirty-six, he became conductor of the Gewandhaus Orchestra of Leipzig. He was an accomplished artist, and wrote passable poetry. Some would call him a Renaissance man. He fulfilled his obligation as a Romantic by dying at the age of thirty-eight. Mendelssohn was a great admirer of Bach, and was largely responsible for reviving an interest in his music. It was on the occasion of his performance of a Bach Passion that he demonstrated his amazing memory. The wrong conducting score was provided, but rather than upset the orchestra, he simply pretended it was the right one, turning pages regularly, and conducting the work from memory. Critics grant him his melodic gifts, but say his music is never deep, and that he was not an innovator. However, he was one of the first to write concert overtures, and he modified the form of the violin concerto by virtually eliminating the introduction. The concertos of composers from Mozart through Beethoven commonly allowed a mood of "expectancy" to develop by delaying the entry of the solo instrument. Mendelssohn abandoned this practice in his mature years, and that innovation is notable in his most popular work, the E minor violin concerto. 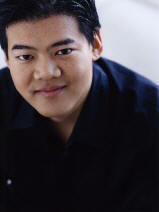 In his youth, he concentrated on studying the classical style of Mozart. He loved the counterpoint of Bach, and he masteredthe sonata form, as we will hear today. The Concerto for Violin and Piano is a well-constructed concerto in the classical manner. It fulfills the expectations of such a concerto, the first movement being in sonata allegro form, with a short introduction. There is the standard exposition, followed by the development, then the recapitulation (with principal themes now in the tonic), followed by a short coda. Like earlier concerti, the solo instruments enter rather late. Its conservatism would seem to justify the critics' view of him as a composer lacking in innovation. However, as you listen to this concerto, bear in mind that it was written when Mendelssohn was fourteen years old. Minghuan Xu has delighted audiences with her passion, incredible technique, sensitivity and charisma. 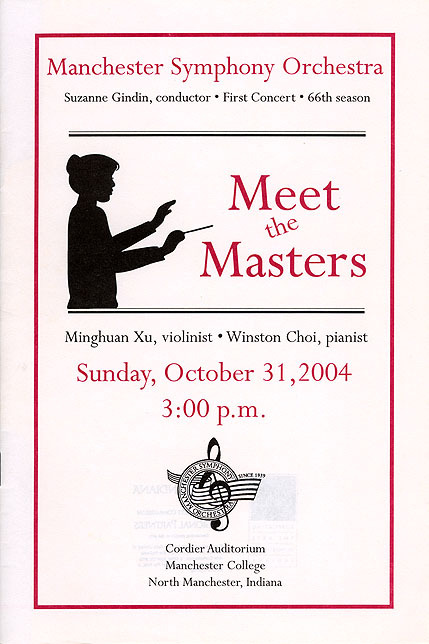 A native of Beijing, China, she began playing violin at the age of five. 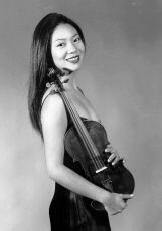 She has won numerous competitions and has performed extensively as a concerto soloist, duo-recitalist, chamber musician, and concertmaster, both in China and across the United States. She is enrolled in the doctoral program at "SUNNY" Stony Brook University.